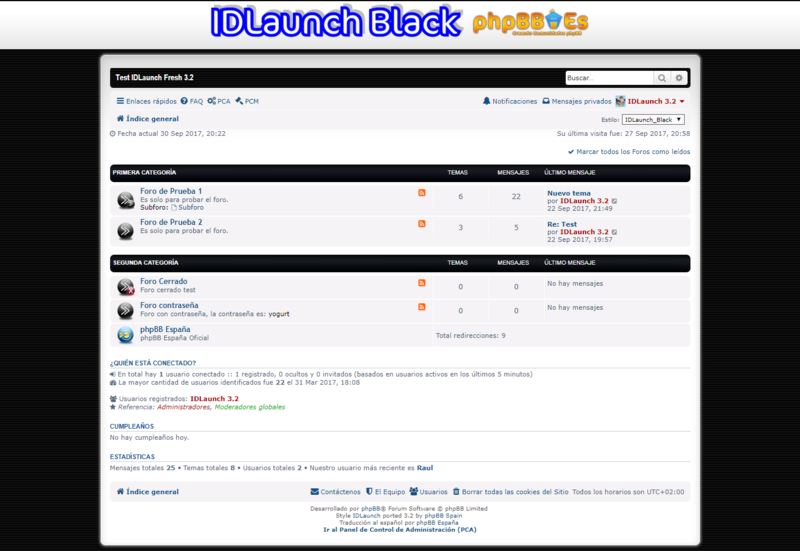 Style Description: New IDLaunch Fresh style with some color variations, Blue, Black and Flat. 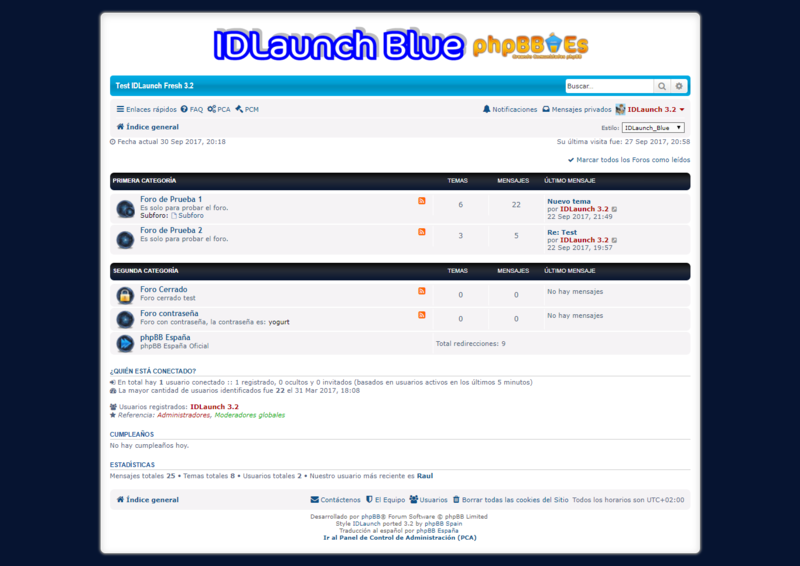 This style it's "ported" to 3.1.x & 3.2.x, the style author 3.0.x is FreakyBlue. 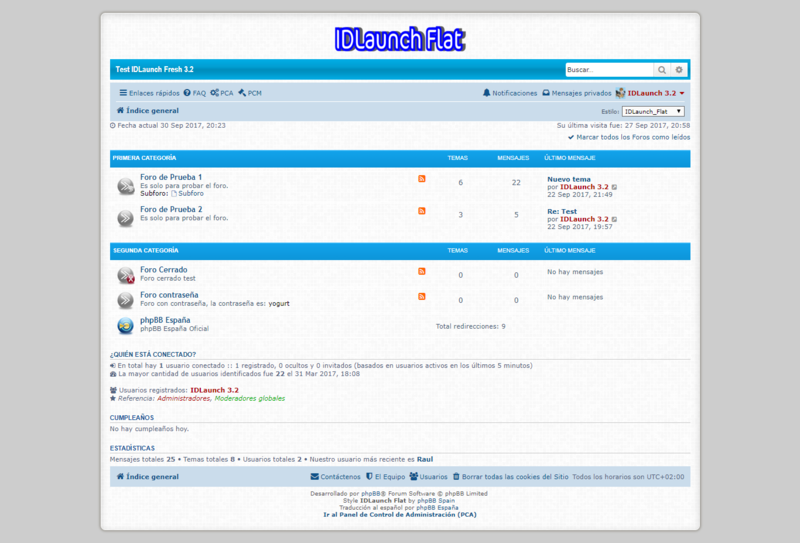 This style is still in development, it is NOT recommended to use it in a live forum. Last edited by Raul [ThE KuKa] on Sat Jan 13, 2018 8:15 pm, edited 7 times in total. Last edited by Raul [ThE KuKa] on Sun Mar 26, 2017 8:41 pm, edited 1 time in total. According to the rules, use the appropriate prefix for your topic. Thanks _Vinny_ for unlocking the topic. See the first post for more information. Where is the direct link to the style preview? Added Demo, see the first post please. There is currently no download available. The style had previously been approved. I'll keep the prefix as CDB and lock the topic.